Jae Myung doesn’t believe him, but Dal Po has proof. He remembers and describes how Jae Myung had promised 13 years ago to him that dad would come back and everything would be alright. But what is this right now? “Why are you like this?” Dal Po cries as he leans into his brother again for the first time in 13 years. Jae Myung stands frozen in shock. Dal Po and JM are at a restaurant eating. Jae Myung gives his brother a slice of pizza, knowing Ha Myung used to like it. But 13 years have passed and Ki Ha Myung is now Choi Dal Po. How, Jae Myung asks. How did Ha Myung become Choi Dal Po? Dal Po tells him his story, unaware that In Ha is calling him, anxious to know how Dal Po is doing. In Ha is at the Han River police station again and she is trying to reach Dal Po but he isn’t picking up. Beom Jo rushes into the reporter’s room, worried about In Ha. Although she says she is okay, he see the scratch on her neck. It’s the same place that Song Cha Ok was injured 13 years ago by Jae Myung. Beom Jo wants to know what happened so when In Ha won’t tell him more, he says he will ask Dal Po. This riles up In Ha and she demands that he doesn’t ask Dal Po anything about Ki Jae Myung. Absolutely nothing. 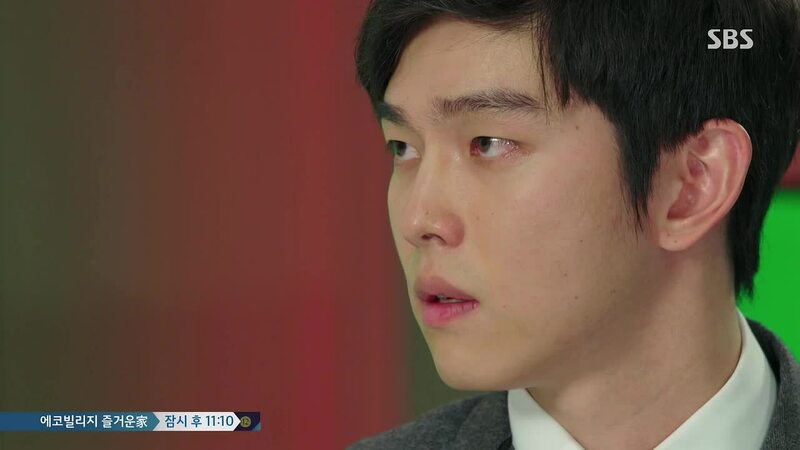 In Ha’s reaction and harshness hurts Beom Jo and he vents alone on the rooftop. The shock and disbelief at her reaction is giving him a headache. He vows to stop this one-side love affair with her. Still at the restaurant, fans surround Jae Myung, asking for autographs. Dal Po watches this scene, a little uncomfortable. After the fans leave, Jae Myung talks about his stardom. It’s funny, isn’t it, he asks Dal Po, how the woman who made their father into a cowardly wretch made him into a hero. Dal Po apologizes for pretending not to know him at that time in that square. Jae Myung is okay with this because he wants Dal Po to continue living as Choi Dal Po. 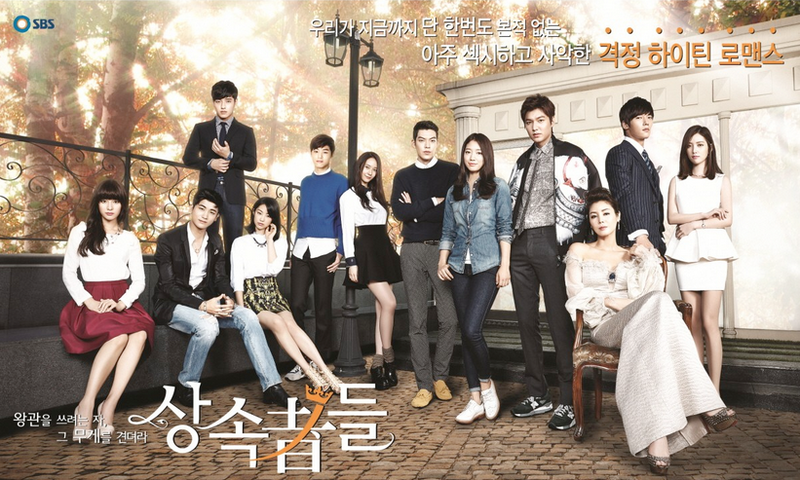 Dal Po asks why and Jae Myung’s face hardens. “You know the reason why,” says Jae Myung. Dal Po knows but he has to hear it being said to be sure. Jae Myung solidifies what has been hanging over their heads this whole time. “I killed someone, Ha Myung,” confessed Jae Myung. 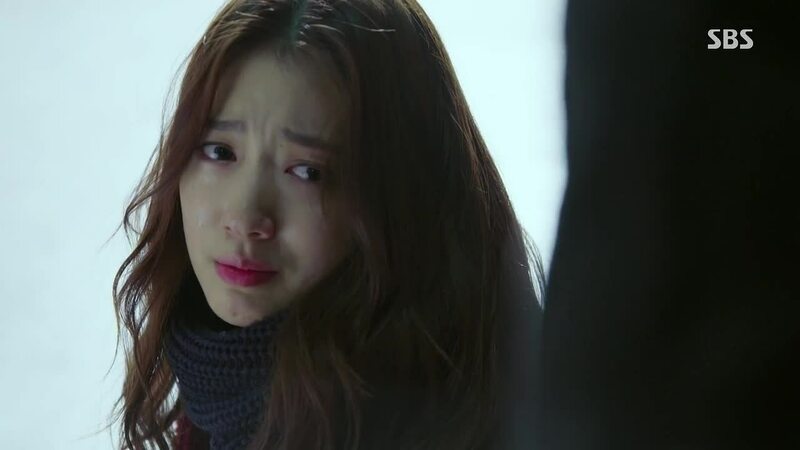 With no more doubt and no more hope for his brother’s innocence, Dal Po cries, and so does Jae Myung. In Ha has returned to MSC and people whisper about her and her confrontation with her mother. In the newsroom, Il Joo says all too loudly to Cha Ok that In Ha was wrong to do that and that she deserves to be reprimanded for her behavior. Song Cha Ok sits at her desk in stony silence, her lips pursed in a thin line. 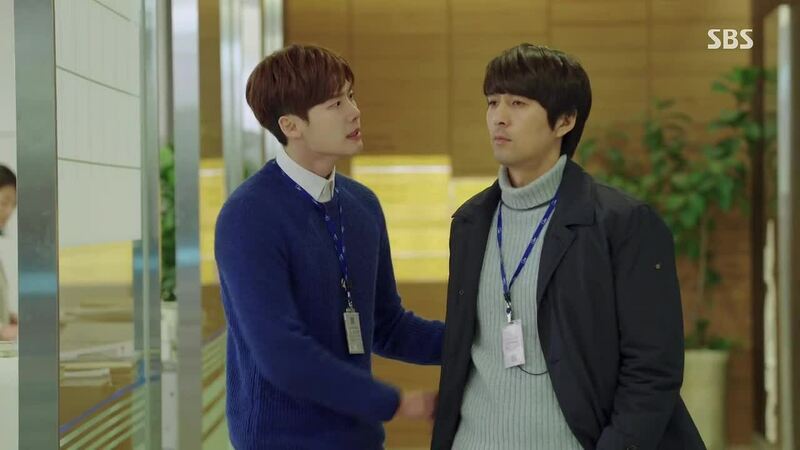 In Ha enters the newsroom, but when Il Joo starts yelling at her, Gong Joo does too, drowning out Il Joo. It sounds like Gong Joo is reprimanding her, but he is in fact complimenting her, saying she did what she was supposed to as a reporter, but that she just didn’t pick the right time and place to do so. He orders that she report directly to him now instead of Il Joo. Out in the hallway and alone together, Gong Joo tells In Ha to go home and take a day off to rest tomorrow. It doesn’t sound like a disciplinary action so In Ha asks Gong Joo. He tells her it is a reward and In Ha returns the favor by calling him an awesome senior. Gong Joo, not one to let a compliment pass, wants to know exactly how he is awesome. The social affairs news team at YGN is having a meeting, and while normally the rookies don’t have to prepare anything because they won’t be reporting on TV, Yoo Rae has prepared something just in case. 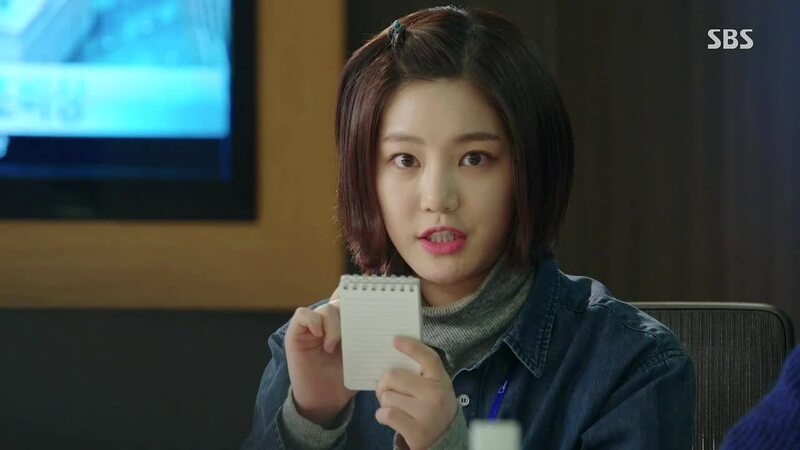 Because she is so pro-active and loud, Gyo Dong suddenly asks the rookies to contribute a news item and all the rookies, except Yoo Rae, are thrown off guard. Fortunately, Dal Po is a smart and when he is asked to provide a news item, he suggest that they report on the dangers of fires at gas stations due to electrostatic sparking. Both Hyun Gyu and Gyo Dong think it is a good idea and give Dal Po the go ahead on gathering more information to report on the story. 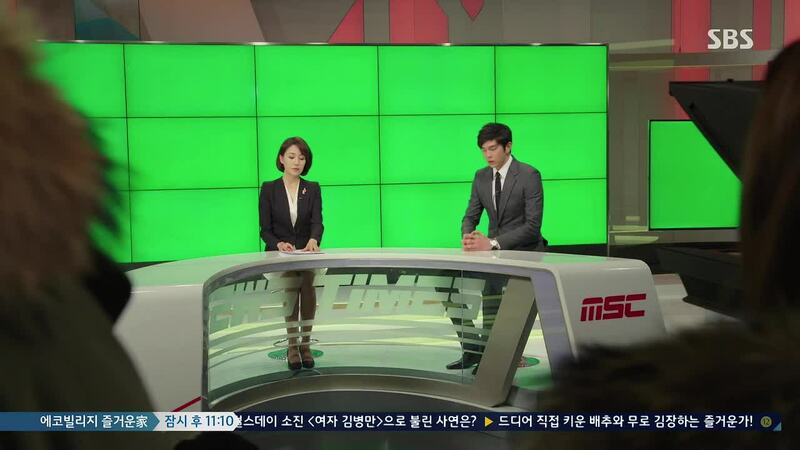 It’s Yoo Rae’s turn and her news item makes Dal Po sit up straighter in his seat. She wants to investigate Ki Jae Myung and his connection to Moon Deok Soo. To Dal Po and Hyun Gyu’s surprise, Gyo Dong gives her the go ahead. Hyun Gyu thinks its a bad idea because it is messing with a national hero and picking a fight with MSC. Dal Po thinks it’s a bad idea, because you know, it’s about his brother being a murderer. Later out in the hallway, alone together, Dal Po questions why Gyo Dong is allowing Yoo Rae to dig into the story. He thought Gyo Dong gave him the story and the prerogative and time to decide what to do. Gyo Dong replies that he has given Dal Po plenty of time and now the story is Yoo Rae’s. Anxious to still protect his brother, Dal Po bursts out that he will make his brother turn himself in. Yoo Rae watches this scene from afar and while she can’t hear what they are saying, she assumes that Dal Po is asking for her story. 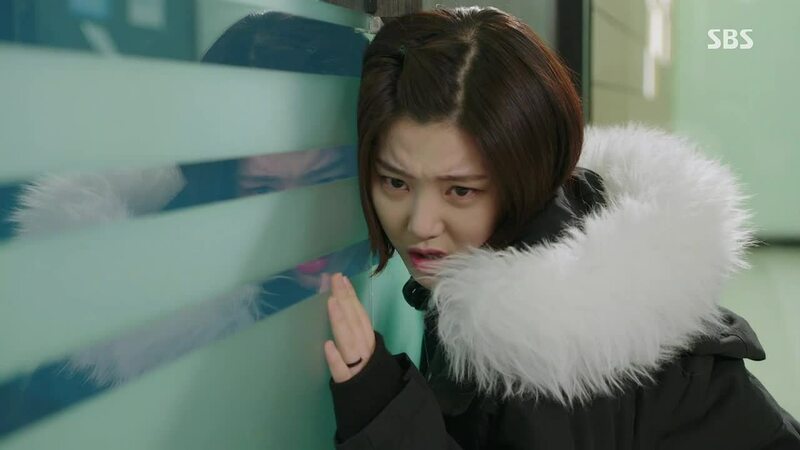 When she sees Gyo Dong and Dal Po go into the meeting room, she quickly runs over and plants her ear on the wall of the room, trying to hear what is being said between the two. 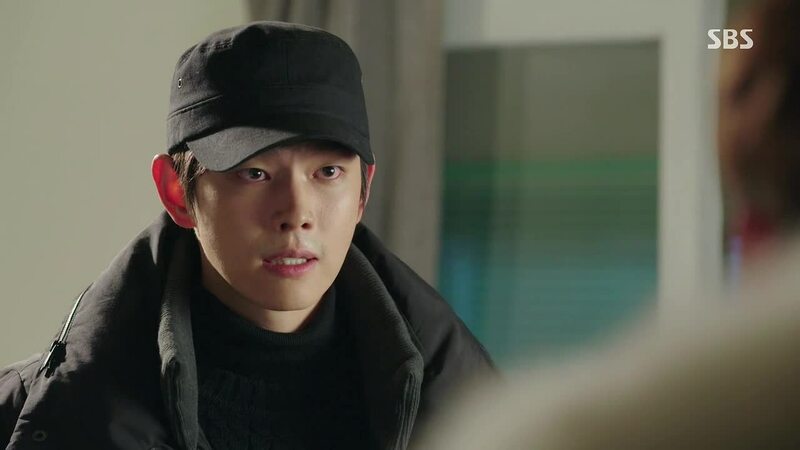 Gyo Dong wants to know what Dal Po means by making his brother turn himself in- did Jae Myung really kill someone? Dal Po replies yes. He will make his brother turn himself in. He wants to give him the chance to do so. Gyo Dong asks Dal Po how much time he needs to give him. Yoo Rae had been trying to overhear, crouched on the floor with her ear to wall, but she couldn’t. 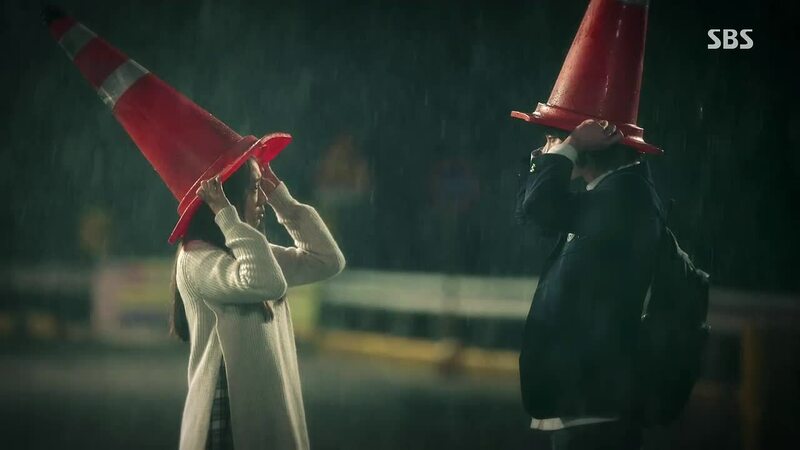 Gyo Dong finds her outside like this and he tells her to switch stories with Dal Po. Yoo Rae gets mad and belittles Dal Po’s original gas station story, which angers Gyo Dong. Yoo Rae backs down and when Gyo Dong leaves, she turns to Dal Po who apologizes to her. In Ha is on her way home, still trying to reach Dal Po on the phone, but he won’t pick up. She sees a pojangmacha (cart bar) and heads in, ordering some soju (alcohol). It goes down bitterly as she thinks about Dal Po crying in front of Jae Myung earlier in the day. It hurts her to see him in pain. She briefly forgets, though, when sees Yoo Rae also at the pojangmacha, drinking and complaining about something. Meanwhile, Dal Po has come to Jae Myung’s house. Jae Myung’s room is filled with gifts from fans and Jae Myung offers a pair of shoes to Dal Po. Dal Po, who has been subdued this whole time, suddenly says to Jae Myung, “Turn yourself in, hyung. 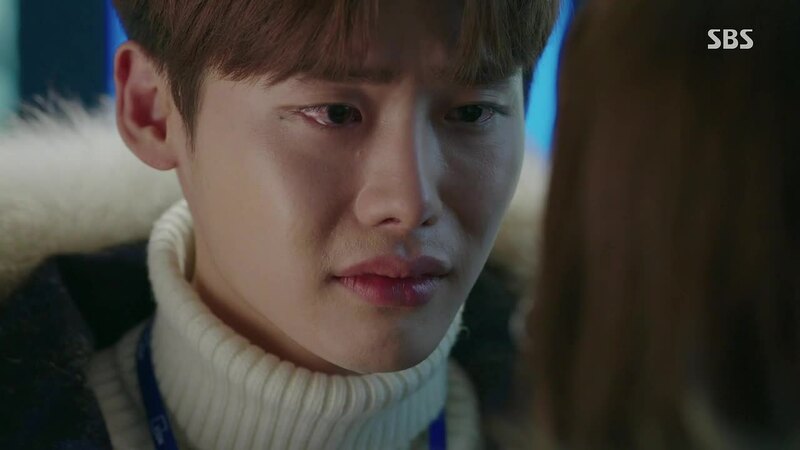 Stop your revenge here.” But when Jae Myung’s answer is no, Dal Po points out that their mom didn’t die just because of Cha Ok- “It was your fault too.” This hits Jae Myung hard, hearing his brother blame him for their mother’s death. Dal Po asks, “Why did you abandon me and mom and run away? Why didn’t you protect us?” Dal Po believes that if Jae Myung had been there that night, their mom would not have committed suicide. Jae Myung angrily explains that he went to see Song Cha Ok that night-“Like an idiot, I had gone to her thinking she would actually be a journalist.” Jae Myung tells Dal Po about his interview with Cha Ok and how she had planned to edit his interview to make his dad and family look even worse. Now knowing the truth about his brother’s whereabouts that night, Dal Po can only blame himself. He was the one who made his brother into a murderer. He had refused to go on TV and search for his family when Dal Pyung had offered a long time ago. He was angry at his dad and brother and didn’t want to look for them. 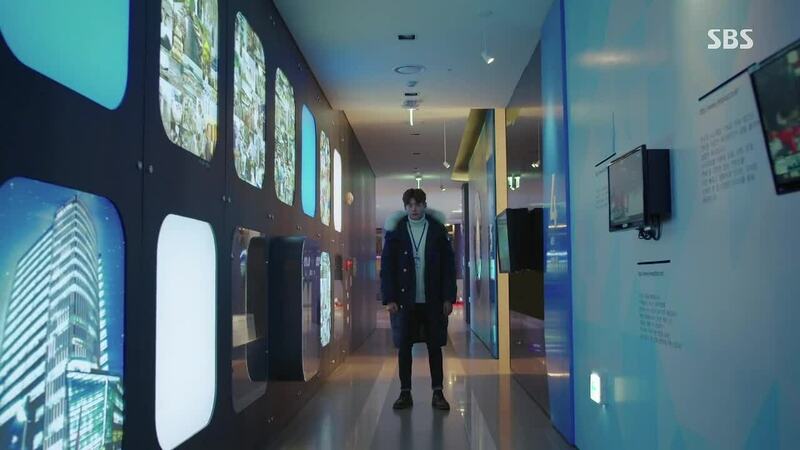 If only he had searched for them, Jae Myung would have known he was alive and not committed murder for revenge. 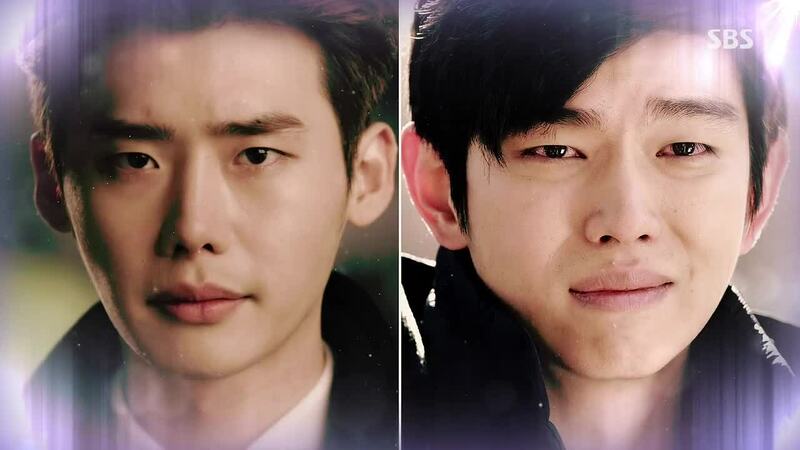 “I made hyung into a murderer.” Dal Po heart sinks and shatters, the guilt settling like a rock inside. He cries alone in the dark and cold night. In Ha has come over to Yoo Rae’s table at the pojangmacha. They tell each other why they are drinking, never saying Dal Po’s name and substituting him with a piece of rolled omelet. 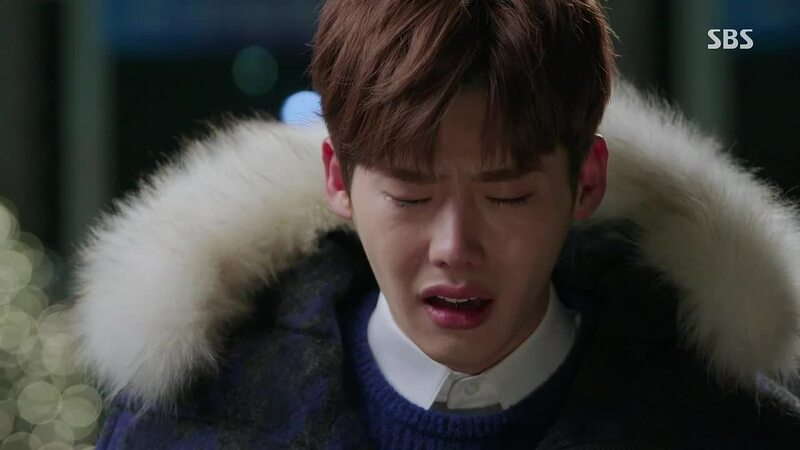 Yoo Rae feels like she is nothing but dust after the person who said she liked her stole her story and her captain took that person’s side, and In Ha also feels like nothing but dust after the person she likes was hurt but because he is in pain because of her, she can’t even comfort him. Yoo Rae and In Ha drink until In Ha falls asleep and Yoo Rae walks off in drunkenness. Beom Jo and a fellow rookie reporter spot In Ha asleep at the pojangmacha from Beom Jo’s car. The other guy wants to help but Beom Jo just drives off, trying to keep his vow to end his one-sided love affair. The other guy keeps talking about how cold it is and that some weird guy can bother In Ha if she is left there at the pojangmacha like that, and Beom Jo, unable to deny his concern any longer, leaves the guy in the middle of the street to get a taxi by himself, and drives back to the pojangmacha. Finding her there still sleeping, he calls Dal Po and then sits there watching over her until Dal Po arrives. When he does, Beom Jo wordlessly leaves, but not without brushing hard against Dal Po’s shoulders on purpose. Dal Po piggy backs In Ha home. Dal Pyung chides Dal Po, saying he only said he would consider the possibility of letting them date, not actually giving them permission. He once again tries to say how In Ha is a gentle and beautiful daughter to him, but there is In Ha on her bed, kicking off her blanket and yelling for water. She’s anything but gentle and Dal Pyung is once again embarrassed. He leaves and Dal Po tucks In Ha in properly again. He later sits in his own room, unable to sleep. Next morning. In Ha wakes up, only to be startled at the sight of her father gazing at her above her head. In Ha asks him what happened, which is what Dal Pyung wants to ask her. He tells her that Dal Po brought her home. 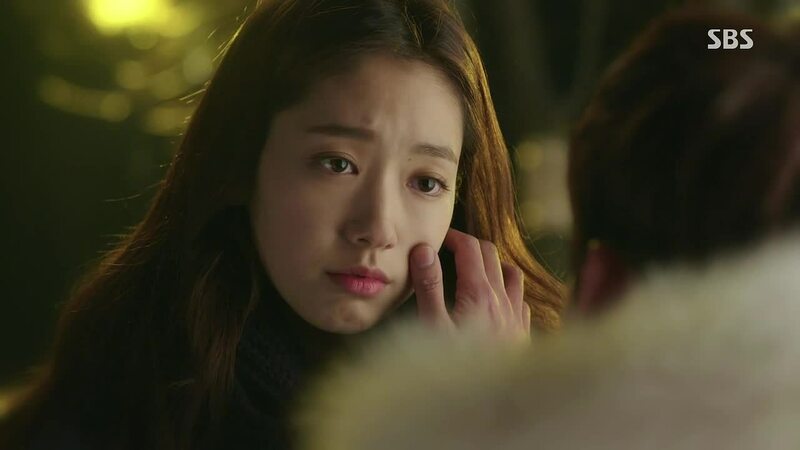 In Ha is embarrassed, especially at the possibility that he saw her drooling. Grandpa, dad, Dal Po, and In Ha have breakfast together. Grandpa asks In Ha if something upset her yesterday. When In Ha lies no, she hiccups so Dal Po covers for her, saying she complained about her superiors at work while he was bringing her home. It seems In Ha forgets everything when she is drunk so she believes Dal Po and doesn’t hiccup. After breakfast, in her room, In Ha starts to recall something from last night. It’s Dal Po telling her to forget, since she forgets things when she is drunk. “Do that this time too,” he said to here. In Ha goes to ask Dal Po in his room. He tells her that they didn’t talk about anything last night, except how heavy she was while he was carrying her. 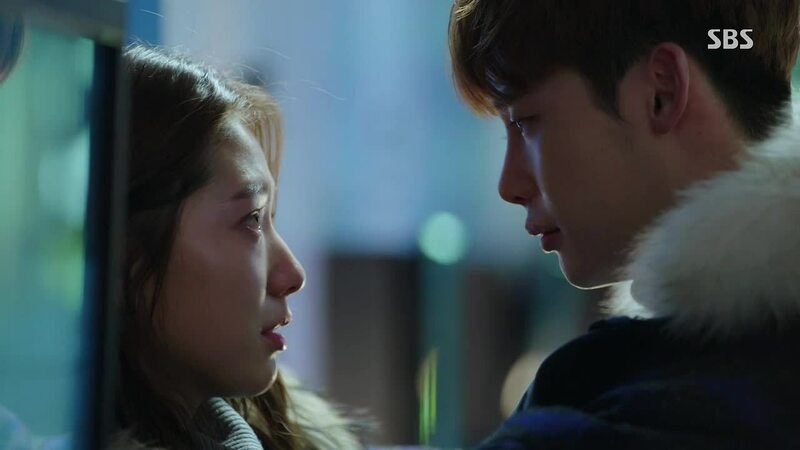 He asks why she drank alone and In Ha tells him that she drank with Yoo Rae. Dal Po didn’t see Yoo Rae, however, so what happened to her? In Ha tries calling her. Unfortunately, Yoo Rae can’t pick up because she is still sleeping off the alcohol….in the metropolitan police headquarters with all her seniors reporters from all the different news networks staring at her. She talks in her sleep, cursing at Gyo Dong, who is right there watching her. Later, Yoo Rae finally wakes up and realizes where she is. No one else has noticed she has woken up so they don’t see her taking notes when Gyo Dong and Gong Joo start talking about Ki Jae Myung. It seems Ki Jae Myung will be interviewed by Song Cha Ok tomorrow at the MSC studio. Gyo Dong is surprised that Cha Ok agreed to do the interview. Gong Joo tells him that Cha Ok said she would reveal a new video tomorrow too. 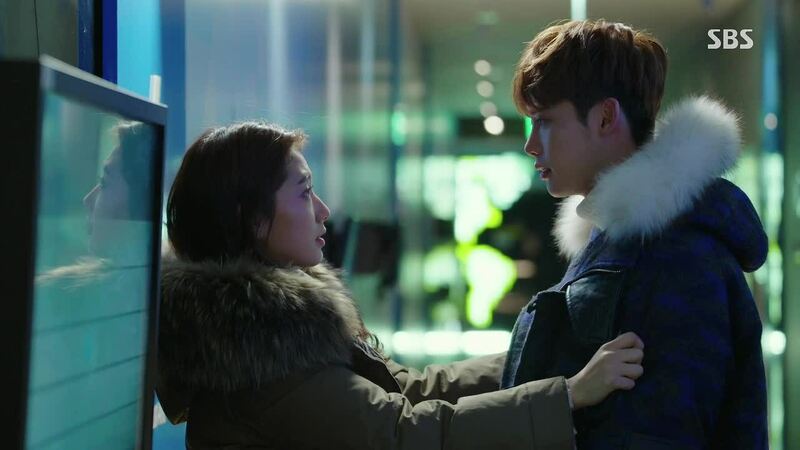 Yoo Rae runs into Dal Po at the Han River police station and they agree to exchange information about Jae Myung. When she tells him that Jae Myung agreed to do an interview with MSC tomorrow, he runs off, leaving her talking to herself. On the way out of the police station, Dal Po receives a text from an unknown number. It’s from an informant saying he saw Ki Jae Myung kill Moon Deok Soo and he will explain more face to face. He will wait for Dal Po’s call. 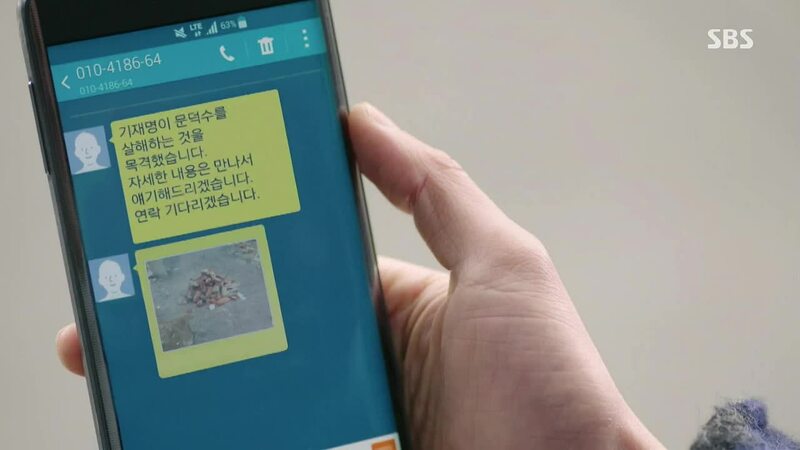 The informant also sends a picture of the place Ki Jae Myung buried Moon Deok Soo alive. When Jae Myung asks Dal Po if he was the only one who saw the texts, Dal Po learns the extent to which his brother has gone. His hands that once held onto his brother falls hopelessly to his side. Dal Po tells Jae Myung he was the only one who saw the texts. Jae Myung then orders Dal Po to just forget it about it and when Dal Po calls out “hyung” again to argue, Jae Myung tells him to stop calling him hyung and coming to see him and tells him to just live as he used to. 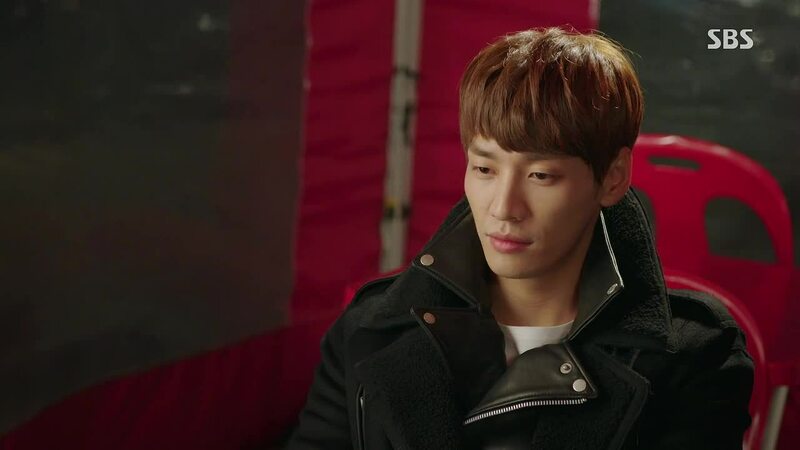 Dal Po grabs Jae Myung again, exclaiming that he understands why Jae Myung murdered those people and why he plans to take revenge on Cha Ok. Jae Myung wonders how, then, Dal Po can ask him to turn himself in. Dal Po tells Jae Myung he will do it, he will take revenge on Song Cha Ok in his own way. He will, as a reporter, show how Song Cha Ok is wrong and get an apology from her. 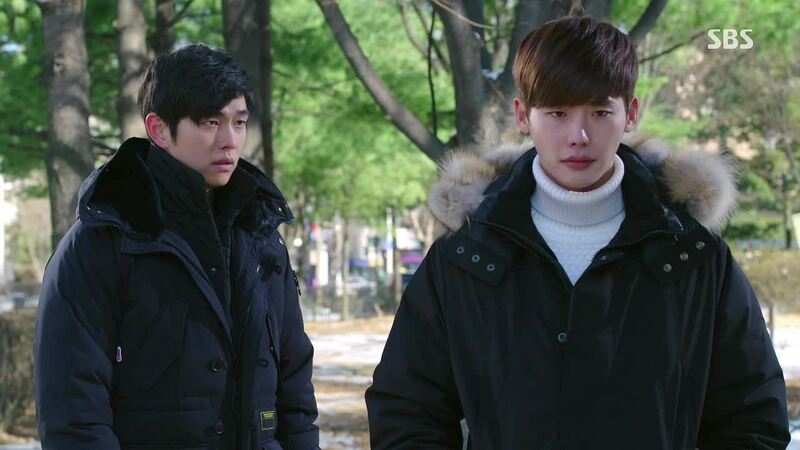 Dal Po tries to keep convincing Jae Myung but Jae Myung drives away, determined to get his revenge. In Ha can’t shake the feeling that she is not remembering something important so she retraces her steps yesterday to a bench where the pojangmacha lady told her she saw her and a guy sat talking for a long time. It’s a question she knows the answer to but doesn’t want to admit. But it can’t be held back any longer and she makes her way to YGN to see Dal Po. She tells him that she remembers everything from yesterday, but Dal Po tries to change the subject. In Ha won’t let him, ready to face this head on. 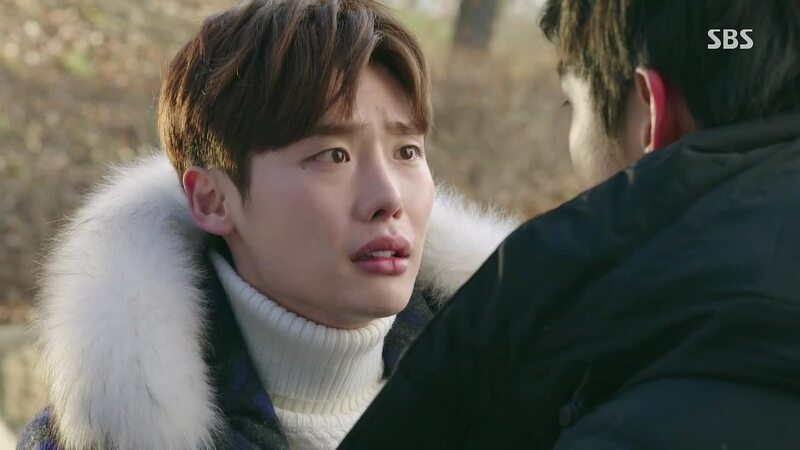 In Ha tells Dal Po she knows that he bore and suppressed his anger towards her mom all this time because of her and will continue to do so if he is with her. She also knows that the resentment and anger towards her mom is too big to just keep suppressed. So she will let him go. “I will give you up now,” says In Ha. With a forced smile she says, “I don’t want to be the person holding you back.” She places the button he gave her back into his hand. She assures him she will be okay so he can fight, argue, and be angry at her mom without worrying about her. She wants him to take on her mom properly. Dal Po asks her if she means it and In Ha really does- she doesn’t hiccup. She tries to leave with that but Dal Po once again encloses her against the wall with his arms. He searches her eyes, not wanting to let her go. Neither does In Ha, but she wants Dal Po to be free. She pulls him toward her, reaching up for a kiss to say goodbye. As they say goodbye through this act of bittersweet intimacy, they cry, their tears as silent as their kiss. “Now it is time to wake up from the dream. No matter how hideous and heavy the truth is, it is time to open my eyes and look.” Dal Po hands the tie clip recorder to Gyo Dong and shows him the image of Moon Deok Soo’s grave. Jae Myung buys what is most likely a gift for Dal Po, but we don’t get to see exactly what it is. 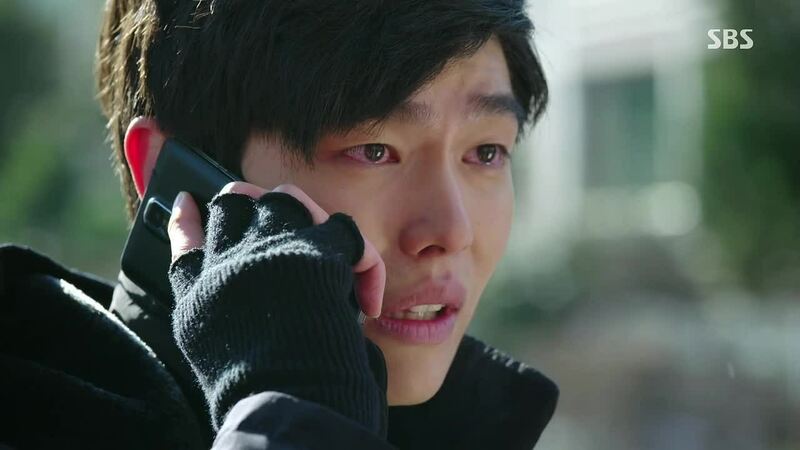 Jae Myung gets a call from Dal Po asking to meet. Dal Po asks for forgiveness. “This is my answer. 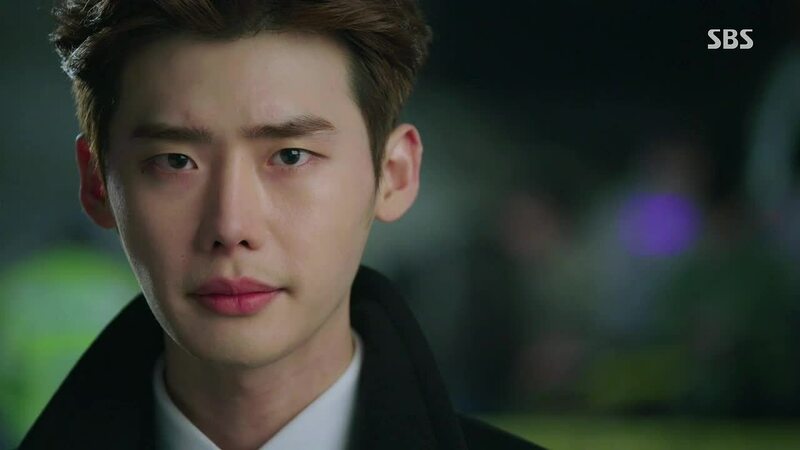 As a journalist, I will stop you and as a journalist, I will get revenge against Song Cha Ok.” Dal Po leaves, sobbing, unable to look at his brother anymore. Later, we see Jae Myung at MSC, getting ready for the interview with Cha Ok. In Ha and Beom Jo have come the recording studio to watch, In Ha worried about what Ki Jae Myung might do. Cha Ok starts the interview and notes that she and Jae Myung have already met in this building before, 13 years ago. Back to present time, Dal Po stands near the manhole Jae Myung buried Moon Deok Soo in. The police have dug out the body. Dal Po is ready to report. And so ends the midsummer night’s dream and Dal Po and In Ha wake up to reality. The reality in which Song Cha Ok is responsible for the destruction of Dal Po’s family and In Ha is the daughter of Song Cha Ok. The reality in which Dal Po’s brother, Jae Myung, committed murder and Dal Po can only stop him from committing another one by taking up the cross of revenge himself. We’ve reach the halfway point in this drama and it’s time for Dal Po to grow up from the pup to the wolf. He became a journalist because of In Ha but now he has to really make that decision his by being the journalist that Song Cha Ok cannot be- a journalist the reports the truth, not only what one wants to see or believes the public wants to see. 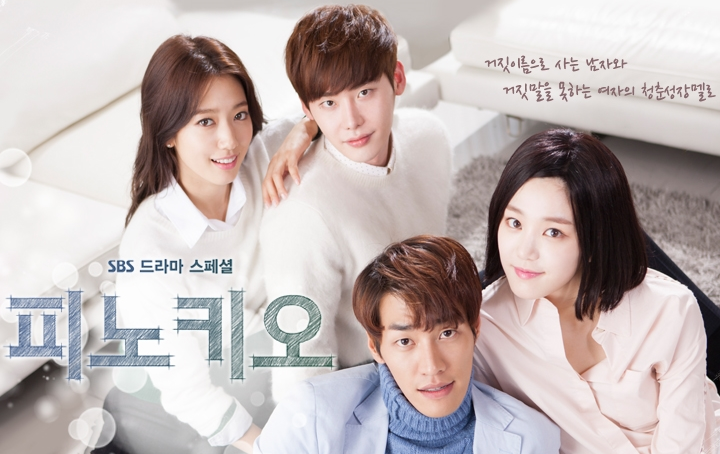 Song Cha Ok believed in the Pinocchio’s testimony about Ki Ho Sang. She didn’t bother to explore the possibility that the fireman was alive. She saw a provocative story and ran with it, making it more even more provocative. In Jae Myung and Ha Myung’s eyes, Song Cha Ok was the leader among the group of journalists that reported on their father’s story and thus their anger and revenge is targeted towards her. However, Dal Po was ready to let go of his anger towards Cha Ok because of In Ha. He also saw his mother’s death as partly his brother’s fault, for abandoning them. But when Dal Po learns that Jae Myung didn’t run away, in fact he actually getting screwed over by Song Cha Ok that night, Dal Po’s anger towards Cha Ok grows more. Not only did she persist in making his dad into a criminalistic coward, she also had a part into making Jae Myung the person she is today, a murderer. 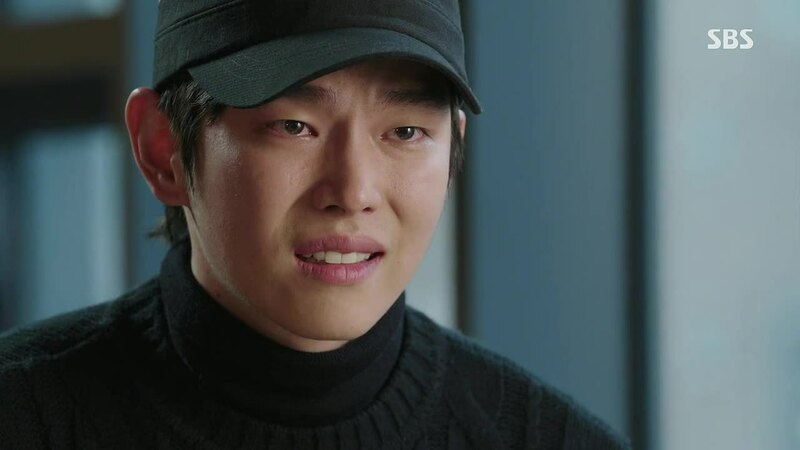 Dal Po also feels the guilt of not having looked for his brother, believing that if Jae Myung knew Ha Myung was alive, he would not have gone down that path of revenge and murder. That guilt drives Dal Po to save his brother from committing any more crimes and to take up the pursuit of revenge instead of his brother. But perhaps what Dal Po is searching for is not revenge, but justice. Murder would be revenge, taking a life for a life, but Dal Po wants to fight Cha Ok on journalistic terms- within the system, using the system. If Cha Ok refuses to acknowledge that it was a personal mistake and that she just did what a journalist is supposed to do when reporting on Ki Ho Sang’s story, then Dal Po can show what a real journalist is actually supposed to do. He wants to make her face her mistake and its consequences, learn a lesson, and truly apologize. I have a few gripes about this episode, which seemed rushed and incomplete in comparison to previous episodes. 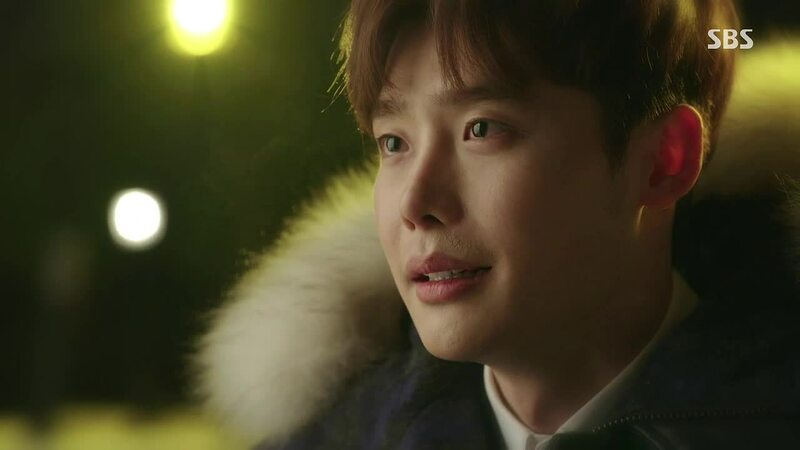 There was just no time for the truth to settle in and the emotions to find its place in the characters and the viewers, especially in scenes between Jae Myung and Dal Po. In one episode, they reunite as brothers, Jae Myung confesses he murdered someone, Dal Po begs for Jae Myung to turn himself in, Jae Myung tests whether Dal Po can carry on the revenge against Cha Ok, and we end with Dal Po about to report on his brother’s crimes. Doesn’t it seem incredibly fast that Jae Myung went from being hell-bent on having his revenge against Cha Ok (killing her?) and then suddenly “testing” Dal Po to see if he can really get his revenge, which is definitely not killing her. Or did Jae Myung never intend on killing Cha Ok? Then what’s with all those menacing looks? But on the wholly positive side, how much do I love that In Ha initiated the kiss? I’m so glad to see a female character finally expressing her love in a real and physical way. 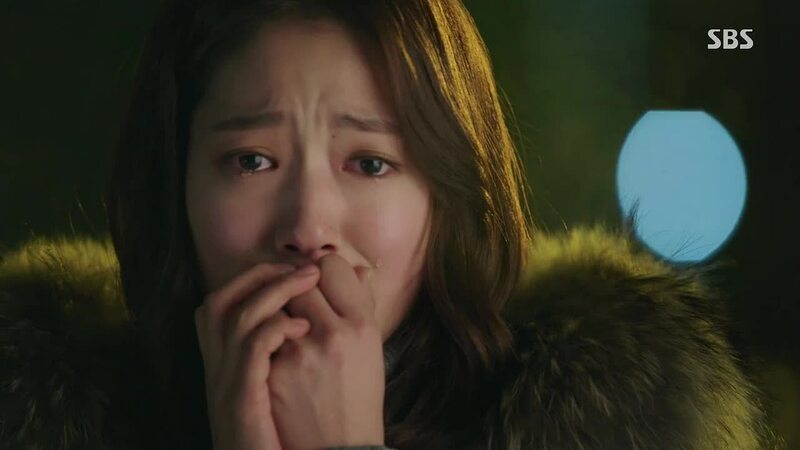 With everything happens in this ep, writernim, I believe in you! Just by seeing the stills of episode 11, i know we were in for a heartbreaking episode. And there is gonna be lots of angst and tears but i wanted to deny it. I didnt want to have to come to this moment? Why? Why do you need to separate? Cant they just work it out together? I want them so badly to withstand this and not let go but i guess its hard to avoid this. My heart is feeling so heavy right now! But its time to face the reality and the truth. Truth can sometimes be sweet and can sometimes be bitter, but even if its bitter it has a healing quality. So i hope that the truth and justice that Jae Myung and Ha Myung seeks can set them free from all their baggages especially Jae Myung. Thank for the fast recap! I just hope for all to get better! Please gey better pinocchio! Thanks Jooni for a wonderful recap. I have not seen the episode but your recap manage to make me cry. Looking forward for the next one. Jooni, really appreciate your recap. I have meetings the whole day, and working till late night so I couldn’t see the eps. Your words and thoughts touched me so deeply. 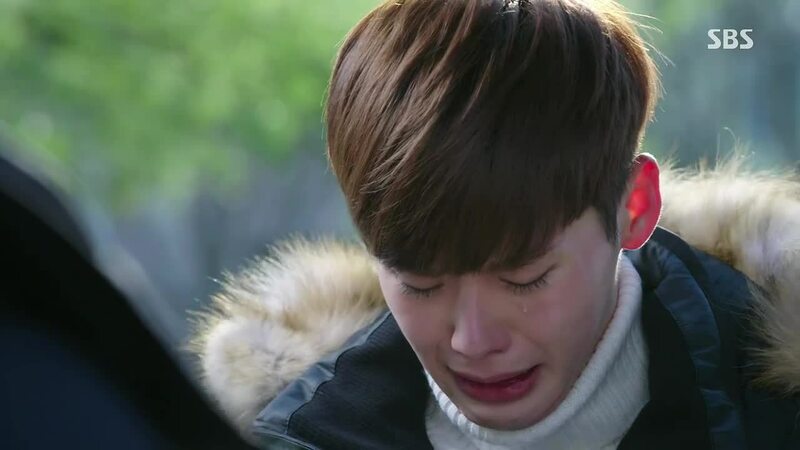 Even on meeting and doing work plans, I still think about how Dalpo and his family have to go through all these tough time, facing so much obstacles, disadvantages, heartbreaking times and so much pain. Thanks a lot, for recap, and for reviewing with your opinions. Wow. The story is getting better and better.i love the little comics that are used frequently to relieve the tension. Gentle in ha…hilarious. Its a good twist. I thought when a drama takes my line of thought,I thought it would be predictable but it really isn’t. I love reading this recaps.